The DYC Series 8200/8800 single hung thermally-broken aluminum windows have a remarkably low air infiltration rate of .03 CFM. This is FIVE times more airtight than the industry average of residential vinyl windows. Posted data from our competitors’ websites show air infiltration rates for vinyl windows from .11 CFM to .21 CFM. It would take FIVE DYC 8200/8800 Series windows to leak as much air as ONE of the typical residential vinyl windows. This exclusive PolyPour DYC Window System surprises many people familiar with residential markets. 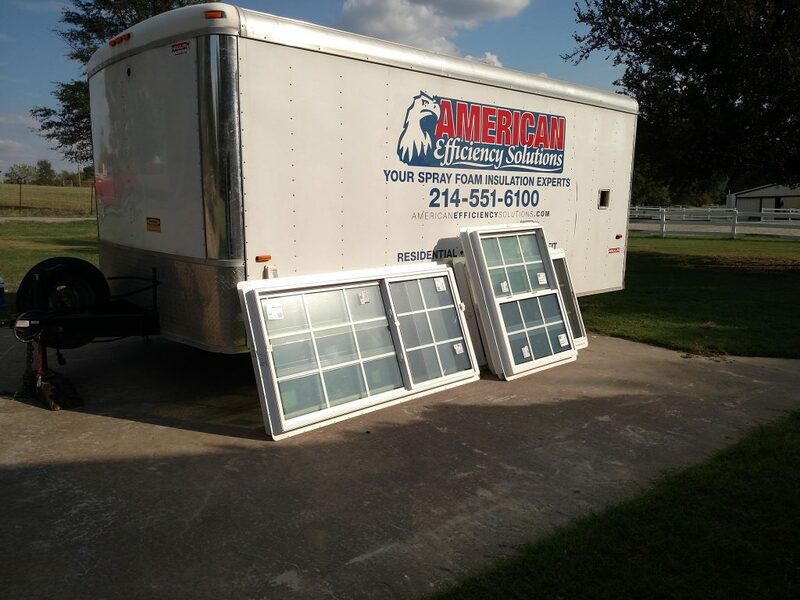 Double Hung windows are very common in expensive wood and replacement vinyl systems, but in aluminum? This unique, thermally broken double hung and its companion slider and picture window are most popular in high-end markets where buyers seek the features of two tilt-in sashes in a stout, durable window made with something other than wood or vinyl. The windows in this System are built in custom sizes to meet your unique needs and are available in White, Tan, or Bronze. 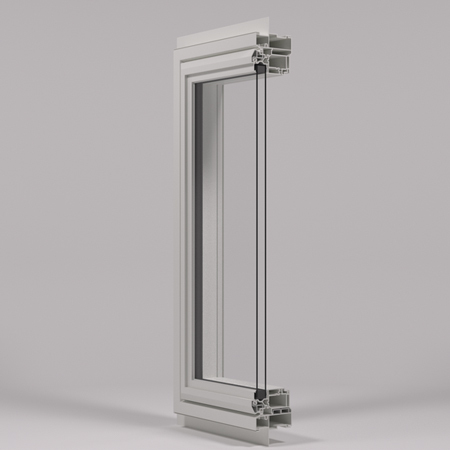 This beautiful new thermally-broken aluminum casement window is the ideal window where beauty, strength, ventilation and daylight are a priority. Its unobstructed view makes this window the perfect choice for sunrooms and other applications where views can be maximized. The bevel faced design is aesthetically pleasing for all types of installations. These beautiful windows are built in custom sizes to meet your needs and are available in Bronze, White, Tan and Silver powder coat finishes. 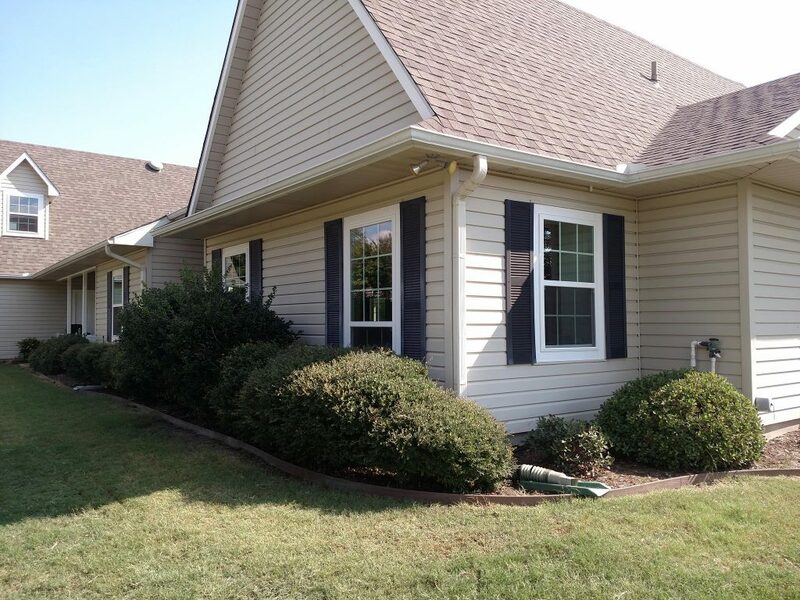 Sunshield™ windows were designed to conserve energy and reduce your home heating and cooling costs. This fully welded system includes a single hung and its companion slider and picture window that feature a uniform frame appearance, ensuring design consistency in every elevation of your home. Unlike older vinyl frame profiles with bulky or overbearing designs, Sunshield™ offers a very subtle, attractive cove mold look for a more traditional wood window interior and exterior appearance. The windows in this System are made-to-order and built in custom sizes and shapes to meet your unique needs. Sunshield™ windows are available in Linen White, Desert Sand and Adobe. Unlike other vinyl windows, with Sunshield™ Vinyl Window Systems you can install single hung windows downstairs and double hung windows upstairs where the dual tilt-in sash feature is most useful – without compromising uniform appearance. This fully welded system includes a double hung and its companion double-sash slider and the same picture window featured in our Single Hung Series, ensuring design consistency in every elevation of your home. The windows in this System are made-to-order and built in custom sizes and fixed-lite shapes to meet your unique needs. Sunshield™ windows are available in Linen White, Desert Sand and Adobe. Sunshield™ Casement Windows are simply beautiful. This is the window you want in your home for its style, class, and uninterrupted view. Casements are so popular among exclusive buyers because they furnish narrow, tall views like picture windows but, unlike picture windows, casements open for a breeze with a turn of a handle. 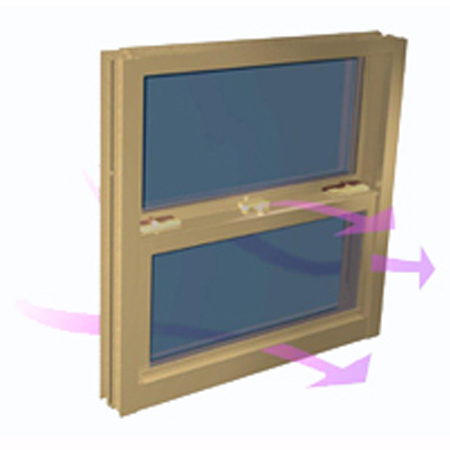 In strong winds, the sash actually presses inward against the frame for a tighter seal than other types of operating windows. Casements are at their best when set in groups to create a wide rectangular matrix of light and impressive views. 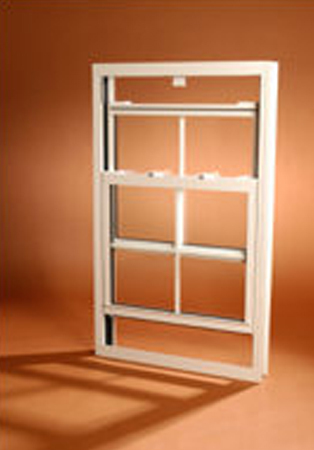 This fully welded system includes a casement that can be independent or mulled together as part of a multi-casement “uni-frame” configuration, including matching picture windows or fixed lites. Our Sunshield™ Casement Windows feature a regal bevel face in a classic wood window look. 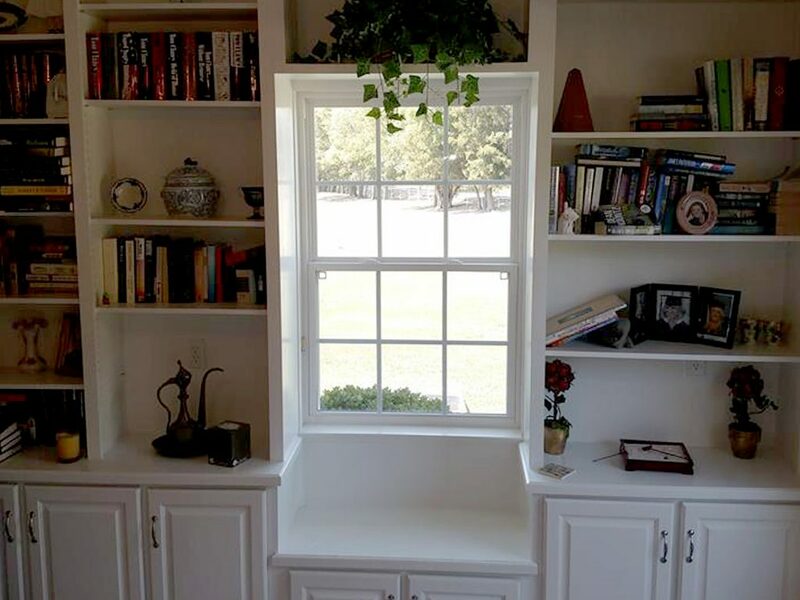 The windows in this System are made-to-order and built in custom sizes to meet your unique needs. Sunshield™ windows are available in Linen White, Desert Sand and Adobe.